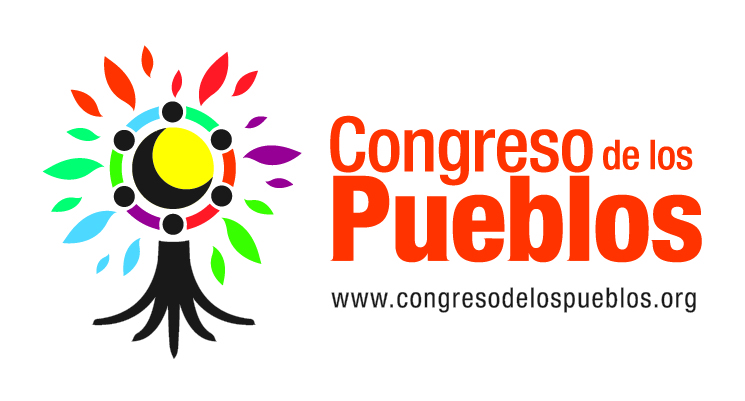 The Congreso de los Pueblos (Congress of the Peoples) is a social and popular movement focused on improving living conditions in Colombia, working together with indigenous peoples and movements of different origins as well. The flag is an orange horizontal flag with the logo and name in black as seen here. Image is screenshot taken yesterday from Hora 13 Noticias local news, during a video TV report of the World Urban Forum VII by UN Habitat ( United Nations Human Settlements Programme) in Medellín.